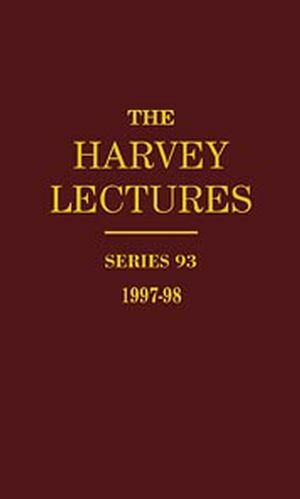 This is the latest volume in the distinguished Harvey Lectures, which provides a topical overview of recent trends in the biomedical sciences. Stanley Falkow was an American microbiologist and a professor of microbiology and immunology at Stanford University School of Medicine. He discovered molecular mechanisms of infectious diseases, like antibiotic resistance and sounded the alarm for antibiotic-resistant bacteria. Eric Steven Lander, a mathematician and geneticist, is a Professor of Biology at the Massachusetts Institute of Technology, former member of the Whitehead Institute, and founding director of the Broad Institute of MIT and Harvard. Genetic Analysis of Interferon and Other Mammalian Signaling Pathways (G. Stark). Form From Function in Visual System Development (C. Shatz). Genes and Genomes (E. Lander). Signals for Tissue Induction and Organ Formation in Vertebrate Embryos (D. Melton). Probing the Intracellular Life of Bacteria (S. Falkow). DNA and RNA Polymerases: Structural Diversity and Common Mechanisms (T. Steitz). In Vitro Selection and Directed Evolution (J. Szostak). Former Officers of The Harvey Society.